Welcome to the Sew Fabricated secure online store! Please don't hesitate to contact us if you cannot find what you are looking for in our store or have a problem placing your order. We can be reached at (817) 795-1925 or by email. The prices listed above are guidelines and may be adjusted depending upon actual items ordered. Shipping prices may be adjusted if items have an unusual shape, size or weight (i.e. when ordering just one pattern). SHIPPING WILL BE VIA USPS OR UPS DEPENDING ON COST, UNLESS OTHERWISE REQUESTED. Prices are calculated for domestic orders only. If you need your products sooner, please note in comments that you would like to upgrade to PREMIUM SHIPPING. We will contact you and quote your shipping fee in that circumstance as well as the delivery time-frame. International orders will be charged according to the actual shipping costs plus a handling fee of $3.00. We try to keep shipping costs down to the minimum. Our shipping charges are for shipping & handling, meaning not only will you be charged for the actual cost of shipping your order, but for the other costs associated with shipping your order. These costs include but are not limited to: postage fees, envelopes, boxes, packing materials, tape, labels, equipment necessary for processing your orders (scales, software, dedicated printers etc. ), labor to process and package your order. These are just some of the costs directly associated with shipping your orders in a timely and cost effective manner. Please note that shipping rates quoted on your order may not be the actual shipping cost, as we will manually adjust for any considerable differences. For example, if ordering just one pattern, shipping is quoted at $6.50, we adjust that accordingly and you can assume one pattern will not ship for more than $3.50. If you are ever in question of any of our shipping rates, please do no hesitate to contact us at info@sewfabricated.com. We ship Global Priority Mail to all countries that are on the Global Priority system. A Global Priority Mail shipment to Canada, Mexico, and to all other countries is billed at actual shipping costs. In most cases, Global Priority Mail is less expensive than surface mail and will arrive in approximately one week as opposed to 6 to 8 weeks surface. Shipments that are over 4 lbs or will not fit into the USPS large flat rate envelope will be billed as quoted by USPS. When signing up for a class, select the class and date and then hit the "Proceed to Checkout" button. It will direct you to "Shipping Options". Select Texas as the state, choose "Store Pickup" under shipping options, and then choose "Next". You will then proceed to PayPal to complete the payment process with a shipping charge of $0. If you wish to purchase product online but pick up in the store, follow the same procedures as listed above. However, if you wish to have items shipped, shipping charges will apply. At that time, you can enter a separate order or we will apply the shipping charges in PayPal prior to shipment. At Sew Fabricated, we want our customers to be 100% satisfied! If you receive a product from us that is not what you thought you were getting, simply return it for a full refund. It is important to us that our customers needs are met and that their shopping experience is enjoyable. Please let us know if there is anything we can do to make it better! Students must pre-register for all classes. If you do not wish to register online, please call the store to reserve your spot. This helps us to plan and staff each class accordingly. Classes may be cancelled if minimum of three student enrollments is not met. 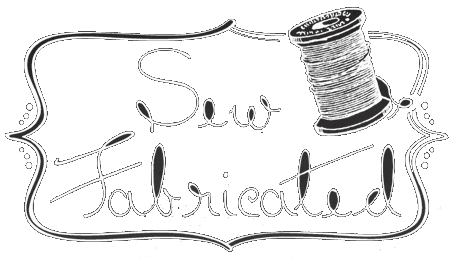 In the event of cancellation by Sew Fabricated due to low enrollment, you will be given the choice of picking another class, a store credit, or a refund. When a class is full, the wait list is offered. If you are accepted off a wait list for a class, you will be contacted by a Sew Fabricated staff member as soon as the class spot opens. Any wait-listed attendees are contacted in the order they register. Please turn off all cell phones during class in consideration of the instructor and fellow students. We cannot accept returns on copyrighted materials. We will gladly accept returns for items that are defective and offer a refund, exchange, or store credit.